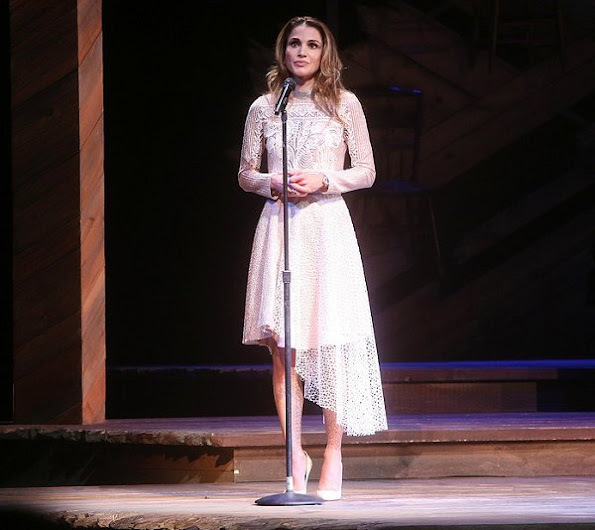 On September 19, 2016, Queen Rania of Jordan spoke at an event organized by “Let Girls Learn”, a global initiative launched by US First Lady Michelle Obama to help give girls everywhere greater access to education. The Queen thanked Michelle Obama for organizing the Let Girls Learn event, and for helping to keep girls’ education under the global spotlight. 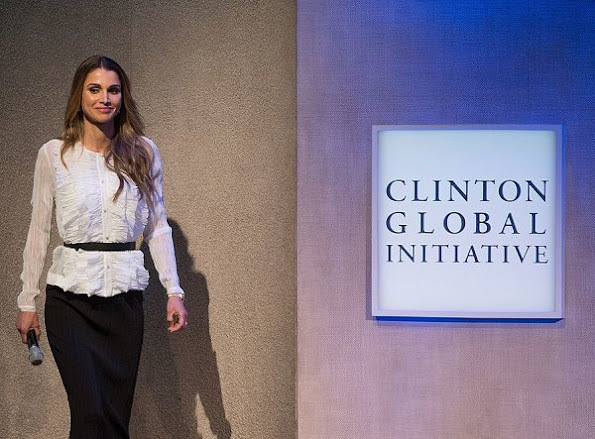 Queen Rania of Jordan attended the Plenary Session: Succeeding in the World's Toughest Places at the Clinton Global Initiative 2016 (CGI) September 19, 2016 in New York. The hair is very long, and the lips are a little much. She is very beautiful and should go with all the natural attributes that mother nature gave her. I have always admired her dedication, her advocacy work but not her fashion style. Queen Rania is remarkable in the depth of her advocacy work, and she is a beautiful woman. I'm not a fan of this dress, however - it looks a bit like it got ripped in the car door. I do applaud her for taking fashion risks though!